We have provided customized data management solutions to healthcare facilities nationwide. We have been privileged to support clients at every stage of Epic deployment from pre-go-live to several years after go-live. 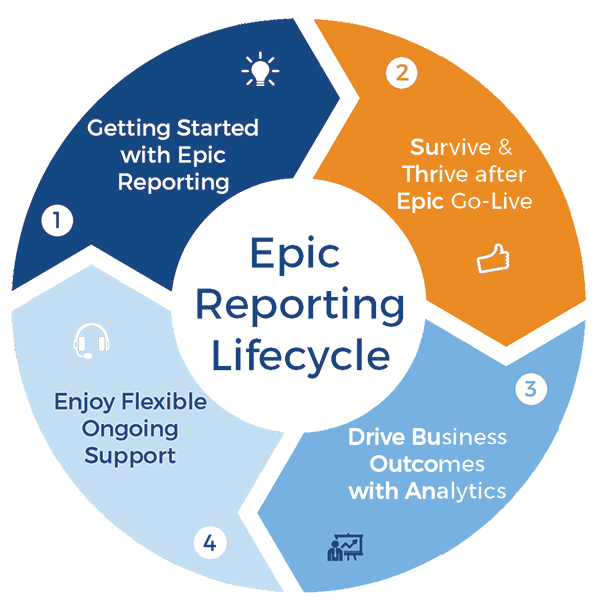 This experience gives us a unique perspective to propose Epic reporting solutions that will address your immediate needs while building the foundation for future analytics success. Our consultants are Epic certified and have had years of hands on experience with virtually every Epic application. We understand what works and what does not work in Epic reporting. We adopt a consultative approach that involves more than merely "placing" a developer at your disposal. We bring our team's expertise to bear on the challenges you might be facing. 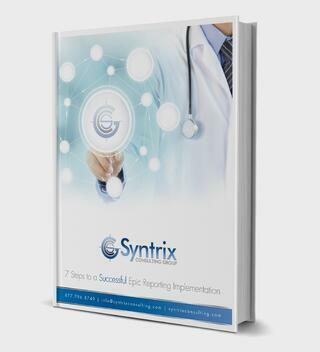 It is not uncommon for Epic clients to experience a backlog of report requests shortly after go-live. This is sometimes the result of users getting familiar with their workflows and refining the types of reports they truly need. Our consultants understand the best strategies and solutions needed to manage and mitigate any backlog. Ensuring data integrity in your reporting solutions is critical for maintaining your team's credibility throughout the organization. Unfortunately, data issues do arise, and if they remain unnoticed, can develop into a crisis. We help monitor and research ETL execution errors and have devised tools for detecting potential data integrity issues early. Our Fast Access program allows you to leverage Epic reporting experts without any recruiting delays. By pre-orienting our developers to your specific requirements, we arrive ready to tackle your most complex issues.